This section will give a brief description of the events shot in the sport of Pin Shooting. 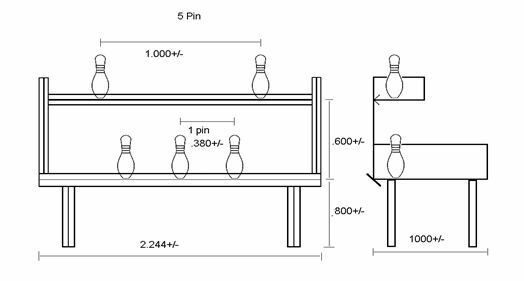 For a detailed explanation and the rules and regulations, please visit the download section and download the Pin Shooting Manual. Click here for Definitions of "Stock Guns" and "Pin Guns"
Five pins standing on the front edge of a 0.9 meter wide, table are shot at from a distance of 7.6 meters. The competitor begins with his weapon loaded with a maximum of eight rounds and safety on at 45 degrees on the rail in front of him. No part of the competitor’s body may cross the rail edge until the whistle blows. The R.O blows the whistle when competitors indicate verbally that they are ready to begin. The competitor then proceeds to shoot five pins off the table in any order. The timer takes his mark from the R.O. 's start signal (buzzer, whistle etc) and stops the time when the last pin hits the ground. The competitor does not have to replace his / her weapon on the rail to complete the event. 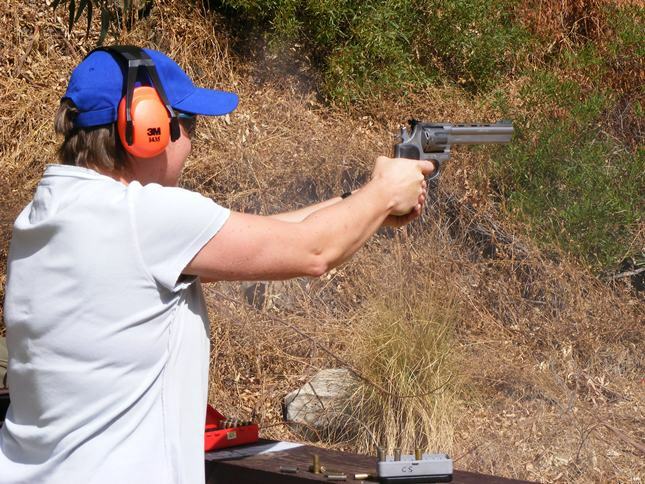 Reloading for pistols is performed using an unlimited number of pre-loaded magazines with a maximum of eight rounds or by using back-up revolvers, speed loaders, half or full moon clips etc. if the firearm is a revolver. Eight pin event is shot with either class of revolver, at a double-tiered table as per specifications, utilizing eight pins in two rows of four one above the other. The competitor shoots the event as per five pin event rules loading six or more rounds depending on the event. A compulsory reload is required in the stock revolver event. If, in the stock revolver event, a competitor clears all 8 pins with 6 shots or less he must still perform a reload with a minimum of one round which is shot across the now vacant table. The timer stops the stopwatch to record the time when that shot is fired. Seven and eight shot revolvers may take advantage of the extra capacity in the pin class only. No restrictions on speed loaders exist in the pin class. 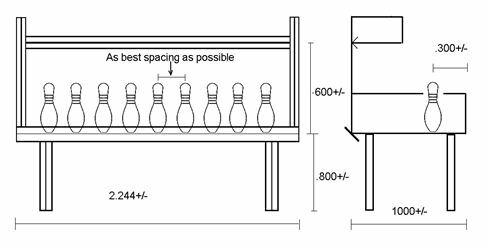 All safety rules and procedures apply as per five pin event. Any centre fire pistol excluding optics. No limit on magazine capacity, extended magazines, plus 2 shoes etc and compenstaors are allowed. 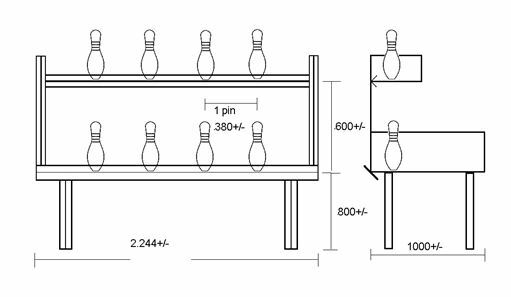 Pins may be either on single tier table or double tier as per range.